Federal NDP Leader Jagmeet Singh, who attended the meeting, proposed including high-speed internet as part of public infrastructure services. 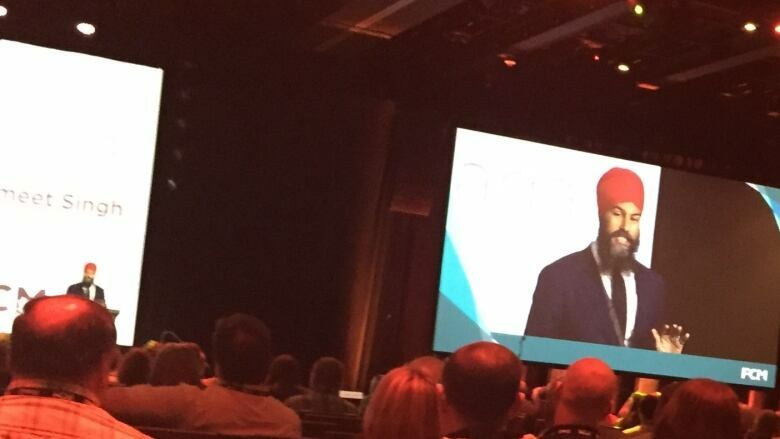 Federal NDP Leader Jagmeet Singh proposed high-speed internet become a public infrastructure service during the annual meeting of the Federation of Canadian Municipalities on Saturday in Halifax. Struggles facing rural communities across the country were the focus Saturday at the annual meeting of Federation of Canadian Municipalities in Halifax. Lack of access to high-speed internet in many of those communities was one of the hot topics. "I shouldn't be in my home office in Nelson (B.C.) unable to follow a webinar from a student because my broadband is so limited," said conference panelist Sarah Breen, president of the Canadian Rural Revitalization Foundation, a charitable group dedicated to bettering the lives of Canadians in rural areas. Another panelist, Dr. Guillaume Charbonneau, who heads the College of Family Physicians Canada, said rural communities without proper connectivity are unable to gain access to telemedicine, which uses telecommunications to provide health care from a distance. He said that leaves more isolated communities at an additional disadvantage when it comes to medical care. Federal NDP Leader Jagmeet Singh, who attended the meeting, called access to high-speed internet "fundamental" to Canadians. "We should look at high-speed internet as public infrastructure so it's available to everyone," he said. Singh said other regions should follow the example of Saskatchewan's SaskTel to ensure that all areas have access to reliable communications. The Crown-owned telecommunications company provides a wide range of communications services including landline telephone, mobile networks and broadband internet. In August 2017, SaskTel announced that it would launch fibre optic internet services in the small town of Rosthern as part of a pilot program for deploying the service throughout the province's rural regions.